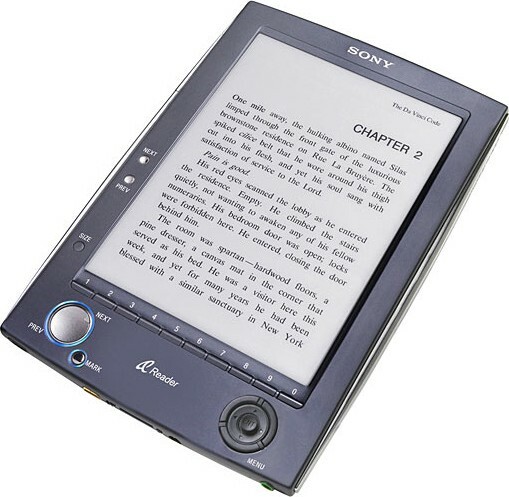 hi, iwant to purchase one ebook reader, can u help me??? one thats easy to read long battery life. you can draw on it. Lots of e-books to pick from low cost. Last of all it possible one that can read the article to you. I know thats a lot to ask put if you can it would be helpful to me. If not please tell me where I can go to get e-book reader reviews. I must say I do own this device and it has been absolutely amazing!! this is very interesting Weight: The previous versions were a good step forward. The ability to carry 10-12 books in a relatively small if heavy form factor was fantastic. This version weighs less then 9 ounces. That's less than a can of soda. The device is said to hold up to 80 books with more possible through memory cards. This could do for books what then iPod did for music. Imagine carrying around a large portion of your library much like you carry your music collection in your iPod? So many people leave a coment in your blog, For this we can know that your blog is very Wonderful,Cheers for your performance, I hope you continue to post such good articles. Your blog likes a mini encyclopedia. Reading your article is just like attending a special lecture after my school. Really helpful, thank you. So wonderful your article. You are a people who know how to live，you are an example to all of us. Thank you for teaching me so much. I will treasure. WISH YOU HAVE A GOOD WINTER. i enjoyed a number of books on my RCA reader. i used it on airplanes. i curled up with it at bedtime. yeah, maybe i should have a try before buy it. The blog was absolutely fantastic! That�s Too nice, when it comes in india hope it can make a Rocking place for youngster.. hope that come true.